My son was deployed just about 3-1/2 months ago. In that time he has missed several holidays. How surprised was I when he called to obtain our address so he could mail me a card. Another surprise was from him (Qatar, Egypt) to us here in Sacramento, Ca. only took 6 days via USPS. I have attached a few photos of what I believe is the best gift I’ve ever received from Chris, a Military Challenge Coun from the base he is deployed at. Not that his prior gifts were crap, this one just means a lot more to me because of him being deployed and us unable to spend Fathers Day together. 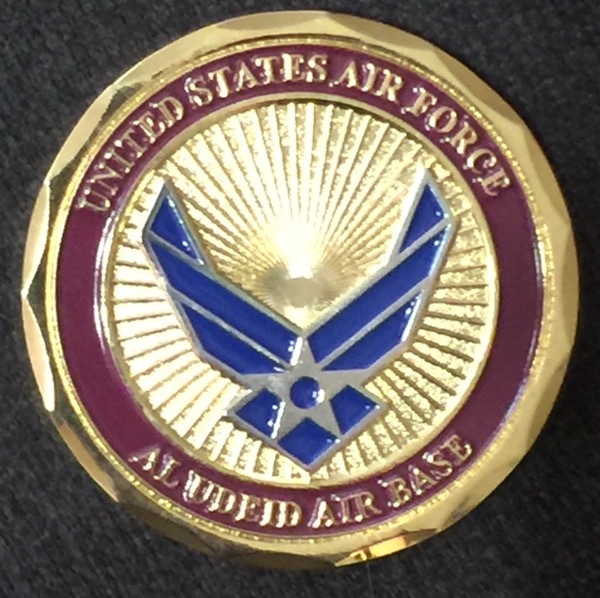 Many readers may not even know what a “challenge coin” is, or how they are used within the modern-day military ranks, but their use is highly prevalent in many arenas. Members of the US Armed Forces have a long-standing tradition of carrying such coins that symbolize unit identity and brotherhood. Each piece usually bears unique unit symbols or mottos that identify the group in which they represent, and are often traded, presented, and collected between unit members. Challenge coins capture the very essence of military affiliation and instill pride to those that carry them. At some point after his escape, and without many of his personal belongings with him, the American was confronted by French soldiers who detained him. He was presumed to be a German at the time, which led the French to nearly take his life. The American plead with the French Officer that he was indeed an ally, and presented a challenge coin he had received from his Lieutenant some time before being deployed. The coin was struck with the American’s Unit insignia and other identifying marks. Today, the popularity of the challenge coin has evolved into more than just a mark of representation for military personnel. They are actively traded among active-duty, retired, and civilian personnel within government agencies. 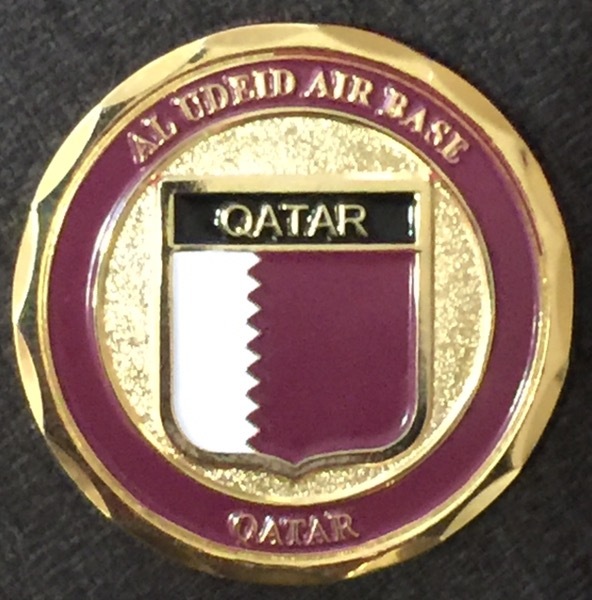 It has also become customary to present a challenge coin to dignitaries and special guests to certain locations as a sign of “welcome” and respect. Presidents William Clinton, George W. Bush and Barack Obama have minted challenge coins to present to White House guests and diplomats of foreign countries. The tradition has expanded to other countries as well, to include Canada, the United Kingdom, and Australia. Over the years, military coins have evolved from seemingly simple designs to more complex and colorful varieties. This can mainly be attributed to the advances in manufacturing techniques that have been perfected over the years. One of the earliest challenge coins known to exist was a simple, die struck brass coin with a faint emblem and barely discernible text. Modern coins are manufactured in a fashion that allows each to display 3-dimensional images that rival the detail found on actual currency. Virtually every element of a custom coin now can be tailored to suit individual preferences. Some of the more popular features of challenge coins made in the last ten years include numbering, specialty edging, and photographic inserts, which allow and actual picture to be affixed to one or both sides of a coin. Major news agencies have recently covered the presentation of challenge coins by high ranking officials to war heroes upon their return from duty in Iraq and Afghanistan. Such media awareness has helped to create an increasing popularity of these coins in venues beyond the military as well. Law Enforcement and Firefighter organizations have followed suit by distributing challenge coins to their staff for recognition and achievement purposes. Many have recognized that a small, personalized token can build unity among a team, which also promotes morale along the way. There is no doubt that challenge coins have a significant and deep-seated role within many military organizations, both here in the United States and abroad. It has been said that only those who have served and received a coin for certain accomplishments will truly appreciate their meaning, but along the way it is clear that this closely held tradition has evolved and expanded outside the military.